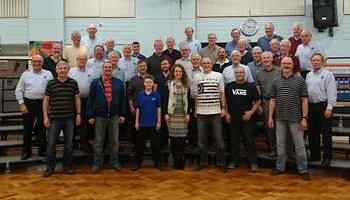 Shannon Express is one of the Eastern Region’s leading male a cappella chorus groups, based in Potton, Bedfordshire. We specialise in innovative four-part harmony singing whilst remaining faithful to our barbershop roots. 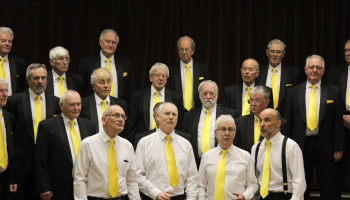 We love to entertain and our repertoire covers a diverse selection of popular music including songs from musicals, gospel, swing and modern classics. Want Shannon Express to sing at your next function? Why not hire Shannon Express to entertain at your next event? We can perform at corporate functions, charity events, community Entertainment events, birthday parties, christmas parties, awards nights, weddings, engagements, anniversaries, engagements, and even funerals and memorial services.